You should put something inside it. I recently discovered the screen-lickingly good blog Bake It In A Cake and since there's barely a nerd girl who doesn't love cake I had to share it here. 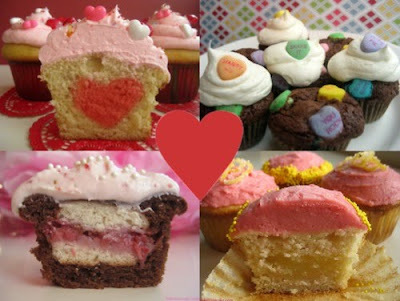 The idea behind the site is astoundingly simple: Cupcakes are great but they're better with a surprise inside. Portal was the perfect game; short, engaging, challenging and funny. It left us all wanting more and more we collected from the Companion Cube plushy, to the deliciously moist Jonathan Coulton song. But wait! There's more! Portal 2 comes out this month and the Investment Opportunities are growing by the week! If you're a fantasy fan like me you'll be happy to know that the TV series based on the George R.R. Martin high fantasy fiction series A Song of Fire and Ice is starting soon on HBO in the US. The series will debut on April 17, 2011 in the US and in the UK, the series will debut on Sky Atlantic on April 18, 2011. Great news is that the ruggedly handsome Sean Bean best known for his role as Boromir in Lord of the Rings is returning to the stable of sword and sorcery amongst other British character actors taking a turn for epic television. The author himself has also stated that the script is very faithful to the novels which is great endorsement for any reader.